Great opportunity to join a leader in their industry as a Jr. Project Coordinator/ Jr. Facilities Planner in Fort Worth, TX on a contract to possible hire basis. In this role, you will work on multiple projects at one time. When a request comes in, you will meet with the department to see what the needs are, then come up with a solution of all the steps necessary to move this group of people, work with various contractors onsite, and then work the project from requisition to the end. Preparing drawings for renovations, moves, adds and changes. Developing schedules for facilities projects. Preparing space plans and as built documents for relocation of employees, furniture and office equipment. Coordinating with on-site contractors, adhering to efficient schedules and meeting deadlines. Ensuring thorough communication with the client and resolving issues. The ideal candidate will be hands-on and well-rounded in administration and/or project coordination in a commercial environment. Must have strong administrative experience, preferably in a facilities-related industry. Must be a problem solver and deadline driven. Must be highly organized and able to establish work priorities. Strong MS Office skills, specifically in Excel, Word, Access, and Outlook. Previous experience with an architectural firm and working with contractors and engineers is a plus. Opportunity to participate in a great benefits package! 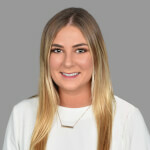 Lindsey Davidson graduated from Stephen F. Austin State University with her Bachelor’s in Business Communications/Corporate Education before joining Frontline Source Group as a Talent Executive. Lindsey’s priority when working with a candidate is to listen to what they value, and work to find a position that is a match for both skill set and company culture. She will be your partner throughout the job search to identify the next step in your career. Connect with her today to learn about available openings! Our process is designed to save you time. There’s no need to come in to register. All you need to do is submit your resume through the “Search Jobs” link or the “Upload Resume” link. If you are a fit for this role, and have additional questions, please reach out to Lindsey directly below.